I wrote an article back in January about the breakout year that Peabody artist Justin Clancy had in 2017 with three successful singles accompanied by viral videos. TV Dinner, The Bottom Line, and Work In Progress. If you read that article or have followed his story through his music, you know about the odds he’s had to overcome to put himself in a position to release his debut album “The Color Blue”, which came out on Friday. Most of those odds included factors outside of music, but there are also adjustments he had to make in the recording studio in order to truly find himself. At a private listening event this past week, Justin explained how he found his sound when he made TV Dinner at the beginning of last year. Before then, he had never attempted to sing on a record. He had taken voice lessons at a younger age so he wasn’t foreign to the idea, but blending his raps with melodies wasn’t something he’d ever tapped into. After releasing TV Dinner, he scrapped an entire boom bap album that he was ready to drop. It was time to move in a new direction and make the music that he wanted to make without worrying about outside acceptance. Ironically, he’s been accepted by new fans worldwide since that song came into fruition. He continued to experiment with his vocal range on the next two singles, and does so throughout “The Color Blue”. The album starts off with the title track. A smooth and melodic intro with all singing and no rapping, plus plenty of references to the color blue. Justin also explained the meaning of this title, saying that it’s a reference to his synesthesia, a condition in which ones senses are joined. Many musicians, including his all-time favorite Stevie Wonder, experience the ability to hear colors. He associated this album with the color blue, either light blue or dark blue depending on the vibe of the song. Nirvana is the fourth single off of the album. A mixture of singing and rapping while he reflects on his transition from rock bottom to living out his dreams. Inspired by a tough breakup and the gradual realization that you will in fact be okay on your own. A relatable track for anyone who’s had their heart broken. This song might have the most mainstream appeal on the album. An ode to a crush in the form of an upbeat R&B song that includes some rapping as well. Likely to make you want to dance. The only feature on the album comes from Boston’s own Michael Christmas on ‘Favorite Color’. Christmas also released a new album on Friday, titled “Role Model”. This is the first collaboration between the two rising artists from Massachusetts. Justin Clancy’s hometown of Peabody has seen his best and his worst days. On ‘Back Home’ he talks about his growth from the perspective of the people who watched him from the start. He’s spent most of his life working towards this release, and it was worth the wait. This is one of the most exciting projects from a Massachusetts artist in recent memory, and Justin’s story of perseverance makes it even more enjoyable. 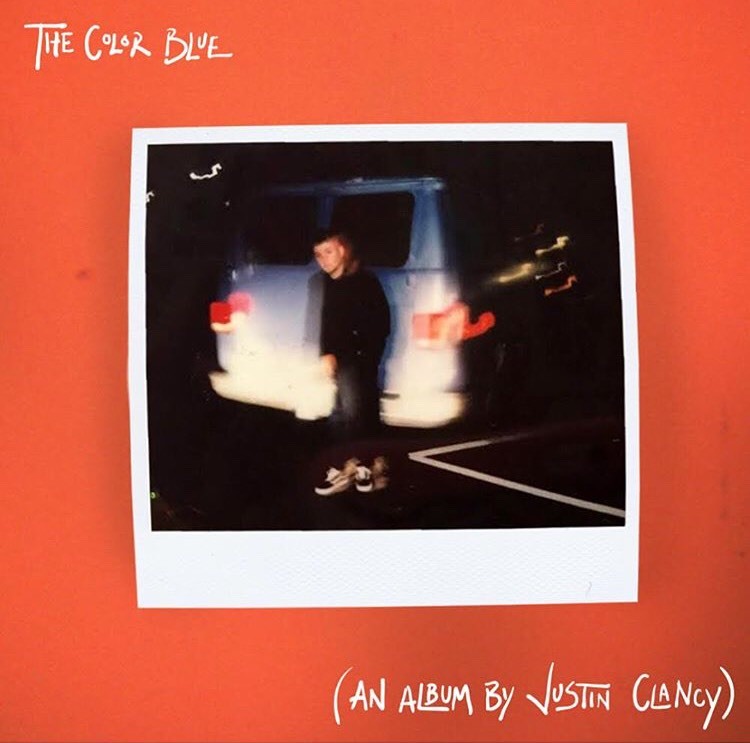 You can find ‘The Color Blue’ on all major streaming platforms.